Did you know that there is actually no such thing as white-colored light? The light that we all perceive as white is actually a mixture of many colors. 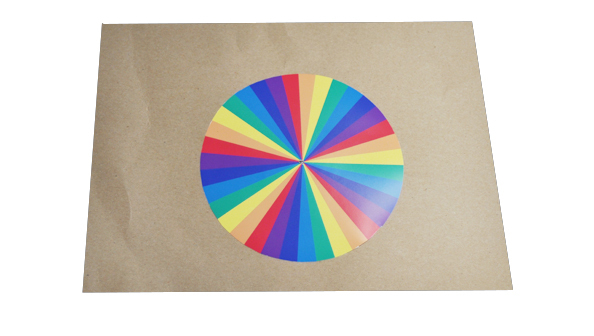 When white light splits into a rainbow, for example, we can see seven of its component colors clearly. This project demonstrates how mixing the light from these seven colors produces the appearance of white light. 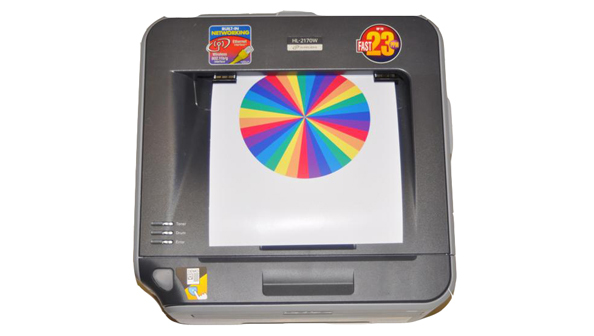 Bring the color disk outside in the sun or take it to a room lit with white fluorescent light. 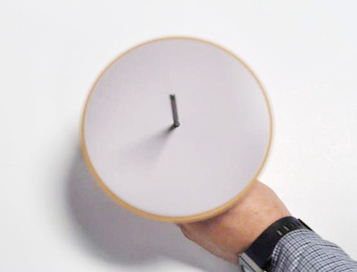 Holding the pencil in one hand, spin the disk as fast as possible. 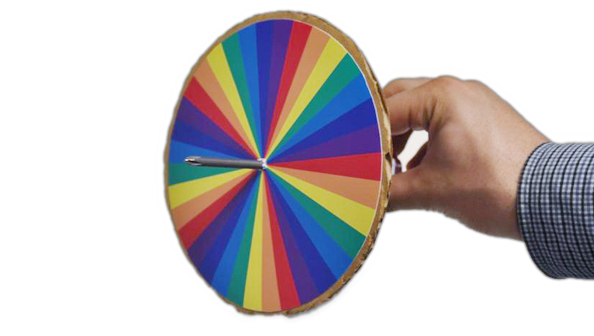 Observe how the colors blend as the wheel spins. 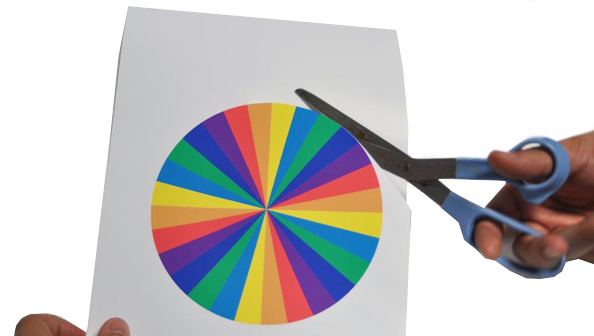 The faster you spin the disk, the better the colors will blend. Our eyes work a lot like video cameras and can perceive roughly 30 pictures per second. The time it takes to capture one picture is called the integration time. When the color disc is still, you can see each individual color clearly. When you spin the disc quickly, though, each of the seven colors whiz past your eyes during the integration time. When this happens, your eye starts adding the colors together. The disc then appears to be colored solid grey or white. Sir Isaac Newton discovered that white light is composed of many colors in the late 1600's. 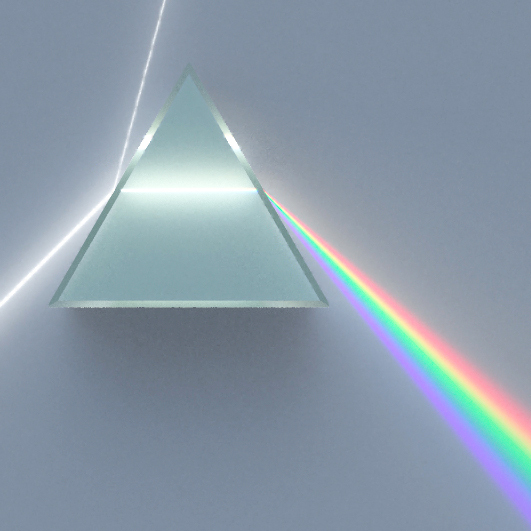 He demonstrated that a beam of white light passing through a prism separated into at least seven distinguishable colors − the colors that we see in a rainbow. He was also the first to suggest the color wheel experiment described above. Our eyes and digital cameras sense color by determining the amount of red, green, and blue contained in images. Computers and TV monitors display color based on the same principle, by mixing different amounts of red (R), green (G), and blue (B) light. 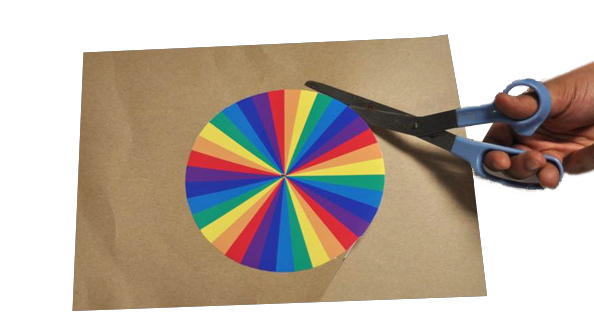 Move the sliders in the figure to create colors with different mixtures of red, green, and blue. Our eyes can see millions of shades of color between violet and red. This entire range is called visible ight. But visible light is only a tiny fraction of all the light that exists. For example, invisible light rays include X-rays, microwaves and radio waves. 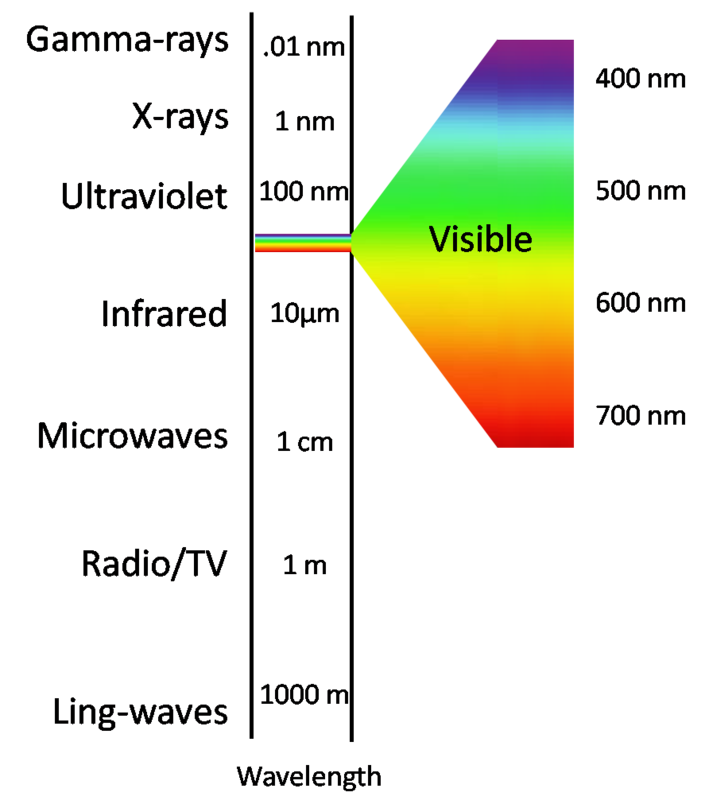 Together, visible and invisible light are called electromagnetic waves, and the entire range is called electromagnetic spectrum. Roughly 1 in 20 people have some sort of color deficiency, called color blindness, that makes them unable to distinguish between some of the colors that other people can see. 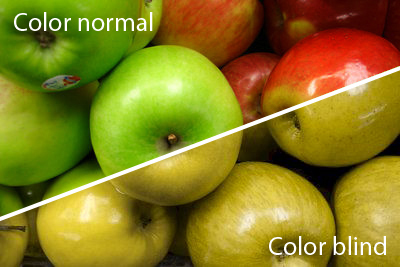 For example, a person having red/green color blindness finds it hard to tell red and green apples apart: both would appear yellow. A person can also be completely color blind, perceiving only shades of gray. Can you see the number imprinted on the selected tab above? If so, you are not 'red-green' color blind . "Electromagnetic spectrum." Wikipedia, The Free Encyclopedia. [Online]. Available: http://en.wikipedia.org/wiki/Electromagnetic_spectrum. [Accessed: Jan 20, 2013]. "Dispersion of light." Wikipedia, The Free Encyclopedia. [Online]. Available: http://en.wikipedia.org/wiki/Dispersion_(optics). [Accessed: Jan 20, 2013]. Images processed by Vischeck Software. Available: http://www.vischeck.com/. [Accessed: Jan 20, 2013].